When it comes to baby, it's all about the best. You want to make sure you have the best products out there for the safety and comfort of your baby. That is where Newton Rest comes in. Newton Rest isn't the typical crib mattress. The crib mattress has an added feature. This mattress is a breathable mattress. 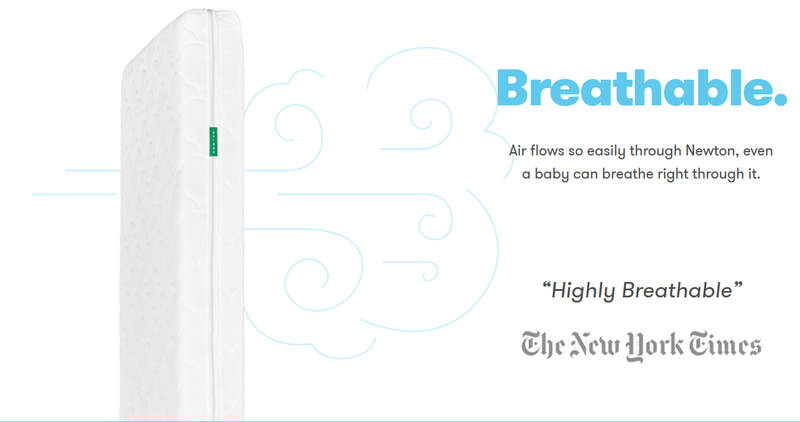 Newton Rest crib mattress is a mattress that babies can breathe right through. Which reduces the risk of suffocation and SIDS. Also because of the breathable feature, Newton's crib mattress reduces overheating and reduces the chance of bacterial and fungal infections because the Newton Crib Mattress is 100% washable. That's right! You can actually remove the cover and then put the core of the mattress directly into the shower or tub to wash it. This is the best possible way to remove potential harmful bacteria. Newton Rest products can be ordered on Amazon. 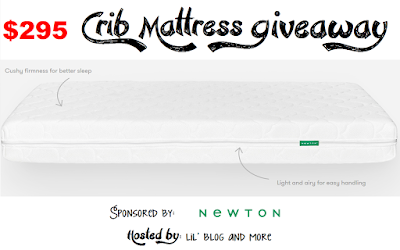 Newton Rest is generously sponsoring a crib mattress giveaway! 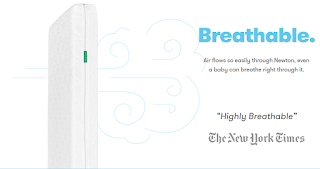 One lucky winner will receive a Newton Rest crib mattress of their own valued at $295! Enter to win using the form below. Disclosure: This post contains affiliate links, please read my full disclosure for more information about my use of affiliate links. The bloggers involved in this giveaway were not compensated, and are not responsible for prize fulfillment. The prize is provided via the sponsor. Must be 18 years of age or older to enter this giveaway. This giveaway starts November 5th, 2015, and will end on November 24th, 2015 at 11:59 pm. The winner will be emailed, and have 48 hours to respond, or a new winner will be chosen. Once a winner is drawn and confirmed, the name will be announced on the GiveawayTools form.